– Renée Leon PSM, Secretary of the Department of Employment. Under the leadership of a Secretary committed to innovation and collaboration, Employment 2.0 is the bold new project out of the Australian Commonwealth’s Department of Employment. 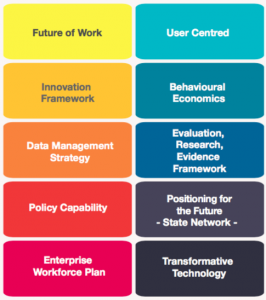 Through the process of large-scale collaboration, Employment 2.0 seeks to generate a shared understanding across the department of its many internal initiatives working towards building its organisational capability – with a focus on putting thought leadership into action, a key strategic goal for the organisation. The Department will then use this shared understanding to better coordinate its actions and amplify its efforts. To drive these outcomes, Collabforge partnered with the Department to create a common sense of identity among initiative teams, an understanding of how they could better leverage each other’s expertise, and to help them spread the benefits of collaboration and innovation across the Department. Collabforge has guided Department staff through a new way of working, during the course of which several strategic documents were created and will continue to be iterated over the coming months. Linking these capability areas together was the overarching strategic goal of putting thought leadership into action. What was needed, however, was a holistic approach to realising these capabilities that could build on the strong foundations they already had. The Department’s Business Improvement (BI) team partnered with Collabforge, forming the core project team, to facilitate a collaborative process that would make this a reality. With the executive giving the core team the mandate to try new things, they adopted a hybrid approach that was both collaborative and cooperative. “We could’ve done this so many different ways,” reflects Chad McCulloch, the BI team’s project leader, “we could’ve just consulted, but the stakeholders wouldn’t have felt involved in the process – this collaborative process has drawn things out of people in a way that consultations wouldn’t have”. Collaboration, and specifically cocreation, was at the heart of all of our workshop activities. The team balanced this ideal against the realities of working with disparate groups of people across the Department, and with their many competing priorities. Being cooperative (the more traditional and transactional process of soliciting feedback) supported the scalability of engagement whenever genuine collaboration wasn’t feasible (inviting and supporting cocreation). Workshops were held for each of the 10 initiative teams, where participants took part in various activities designed to get them thinking about their projects, their project goals, and what they needed from others to achieve these goals. 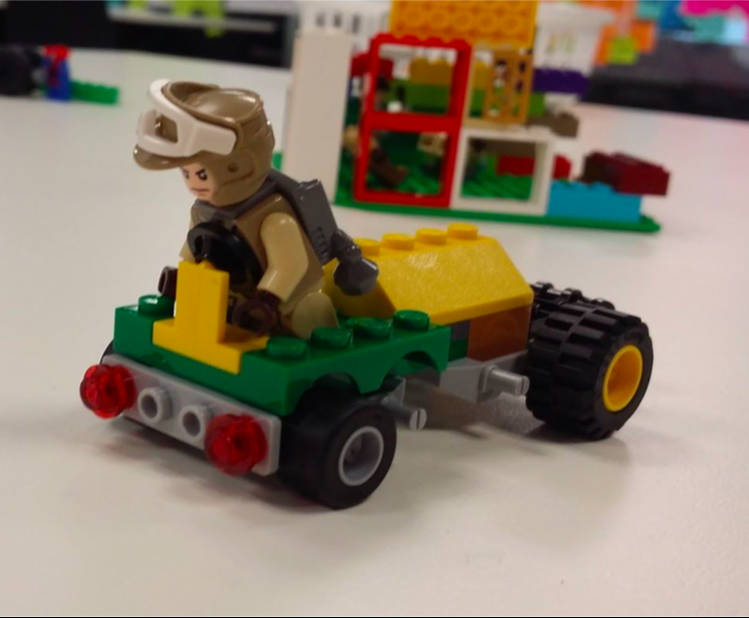 To kick things off, we started each workshop with our “lego challenge”. During the challenge each team were asked to create a unique Lego representation of what their initiative was trying to achieve. It created a visual and playful atmosphere that brought fresh thinking and creativity to the work they were already doing. Not only were participants engaged with the task at hand while practicing collaboration, but it started a conversation throughout the entire Department and helped solidify a shared sense of community. The data collected from these activities played an essential part in helping the core team form a holistic view of what the entire department was already doing to put thought leadership into action. cocreated mock versions of Employment 2.0’s vision statements and roadmap, the latter of which stretched across half the workshop’s floor. 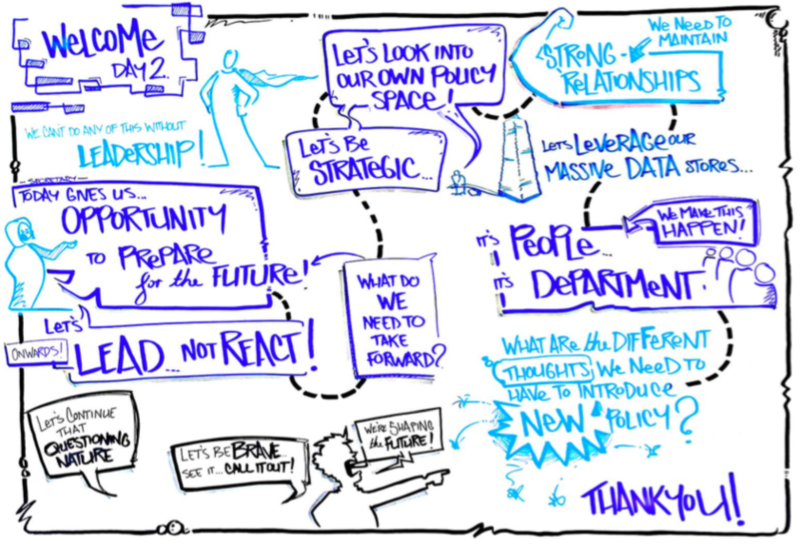 Throughout the workshops, participants created a shared understanding of the Department’s desired future, and as a result, contributed to a stronger sense of community. 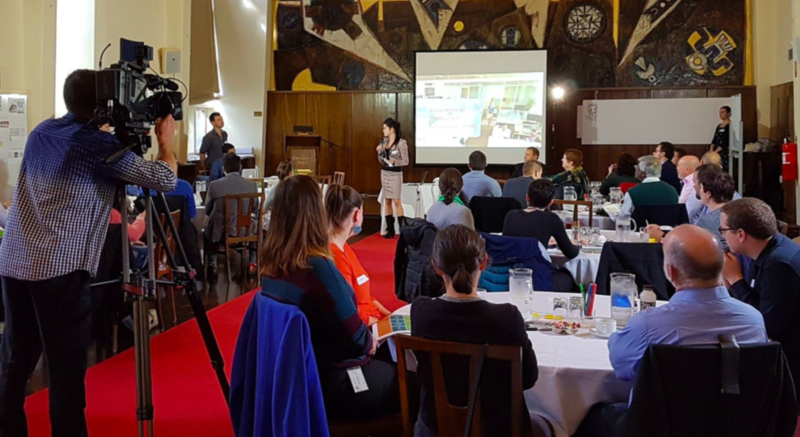 Anna Garnock, from the Department’s Graduate program, notes that, “knowing all the different areas of the department, and knowing what they do and how we all work together and produce our outcomes – I think that overall picture was very helpful”. The Department also demonstrated a willingness to take risks. Where fear of failure and ambiguity are often obstacles to collaboration and innovation in the public service, the Future Jam sessions proved the department had an appetite for trying bold new ideas. As Chad explains, “The executive were open enough to say ‘let’s just try it and if it doesn’t work, we learn from it, and if it does work, it’s going to be amazing’”. These documents are not final, and the next three months will be a pivotal time for the Department. Over this period, initiative teams will increasingly collaborate across the Department towards improving their collective capability to put thought leadership into action. They will continue to improve these documents as they gain new insights from across the Department (beyond those who participated in Future Jam) and become clearer about the pathway forward. Ongoing iteration increases the likelihood that the documents will reflect the collective intention of the Department, thereby improving their ability to inspire effective and coordinated action. When asked to reflect on the outcome, Chad noted that the documents developed will be one small part of the project. While the finished documents will be achievements in themselves, and will reflect the Department’s strategic goals, the real value lay in the intangibles: new conversations, new tools, new skills and new ways of working – in essence, cultural change. “It has potential to have considerable impact,” says David Batalini, from the Department’s State Network, “from the secretary down to the executive, they have championed this initiative and I would expect to see quite a bit of cultural change to come about”.